The raging war of half bridge amplifier designs vs full bridge designs, also known as Brazilian vs Korean isn’t negligible any longer. Each design has its advantages, but it’s the drawbacks end users tend to forget. It seems to be high power, small footprint vs larger footprint & less power. Should be a no brainer right, but in reality it might turn out to be the opposite. Ever heard about the term, there’s no replacement for displacement? Well, of course you can obtain the same performance, but what’s the trade off? The same can apply to amplifier designs. If power is all you care for, then who needs a non distorted audio signal, clipping can’t be that bad? Maybe you even neglect that your bass response has a fatigue in it, but with more power you can manage? Starting from scratch, sitting on the sidelines for some time, we had to make a difference, instead of just offering the same. MA6K throws a curveball at what was prior. 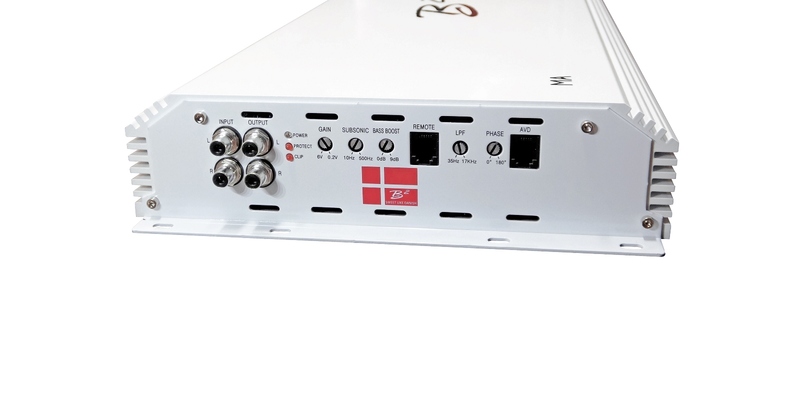 It’s key features are not only the full range design, but also the excessive capacitor bank providing enough oomph for any subwoofer driven by this amplifier. With the full range design, you can also use it for pro audio midranges, should you be crazy enough to connect 20 pairs of them to the speaker terminals. With a true 1 ohm stability, the wiring options are versatile. 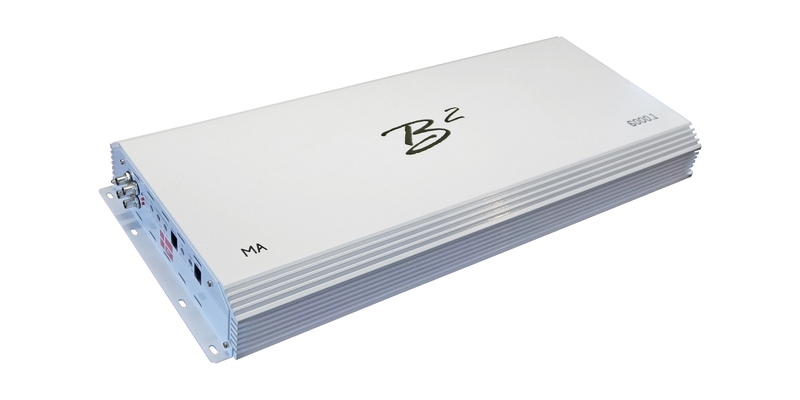 Other amplifiers with the same full bridge technology usually offer 1 & 2 ohm models, but none are fond of a static 1 ohm load. Besides most of those don’t offer any real advantage beyond compact size, merely due to part count is kept to a minimum, which in turn offers less impressive performance if the amplifier is intended for subwoofers. Our take was therefore to take best of both worlds, utilizing our revered & proven Class D amplifiers, scaling them down a bit, but still offering amazing power, full range abilities and proper power terminals. At B2 audio we have always said it takes power to make power, therefore we chose oversized dual 0 GA terminals. We don’t believe in defying Ohms law, so it makes no sense in opting for a single 0 GA terminal when the amplifier supposedly provides 8000 watts or more. Should you be in need of an amplifer that is not an either or, but a worthy opponent to any 1 ohm stable unit, The 7500 watts handed out by the MA6000.1 makes it a serious contender. Once you have a crossover that spans up to 17500 Hz, setting it on a potentiometer will be hit & miss. The ACCU8 deals with this. The 41 clicks on the potentiometer each has its own frequency correspondence. Setting it at click 21 is 243 Hz, where as click 31 is 1192 Hz, quite simple right? The full click chart can be found in the manual. Even though it is a large amplifier, we have still slimmed it down to the extent where it will not hurt performance. 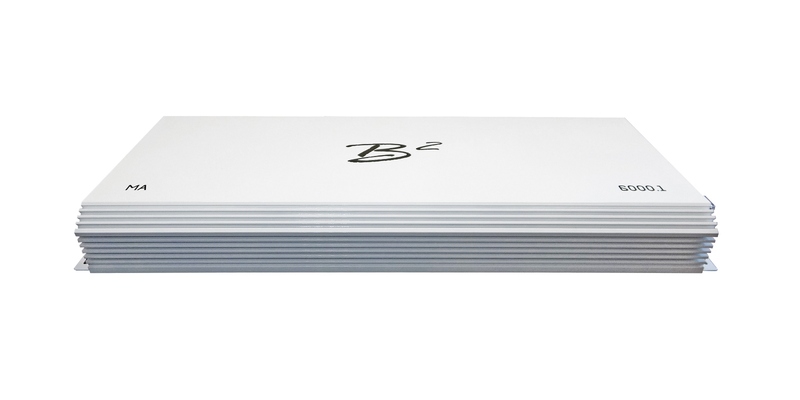 Compared to prior gen half bridge 6000 watt amplifiers, The MA6K is nearly lightweight with its footprint of 22″ x 10.23″ x 2.44″ (56 x 26 x 6.2 cm) It still features all you would expect from any B2 amplifier, and as the rest of the MA series, it also has a clip sensor on the amplifier. Dimensions: 11.69" x 6.9" x 1.96"
29.7 x 17.5 x 5 cm 11.69" x 6.9" x 1.96"
29.7 x 17.5 x 5 cm 12.2" x 6.9" x 1.96"
31 x 17.5 x 5 cm 16.53" x 6.9" x 1.96"
*In order to get the full power output of the amplifier, it is crucial that your electical system is correctly (over) dimensioned. Failure to upgrading will constrain the power output & lower the efficiency which can cause damage to the amplifier & void the warranty. This also includes ohm loads below of what is written in the manual. Do take your time and read the manual thoroughly prior to installing! **Marine capable products are not to be subjected directly to water, but has the ability of being functional in humid conditions.